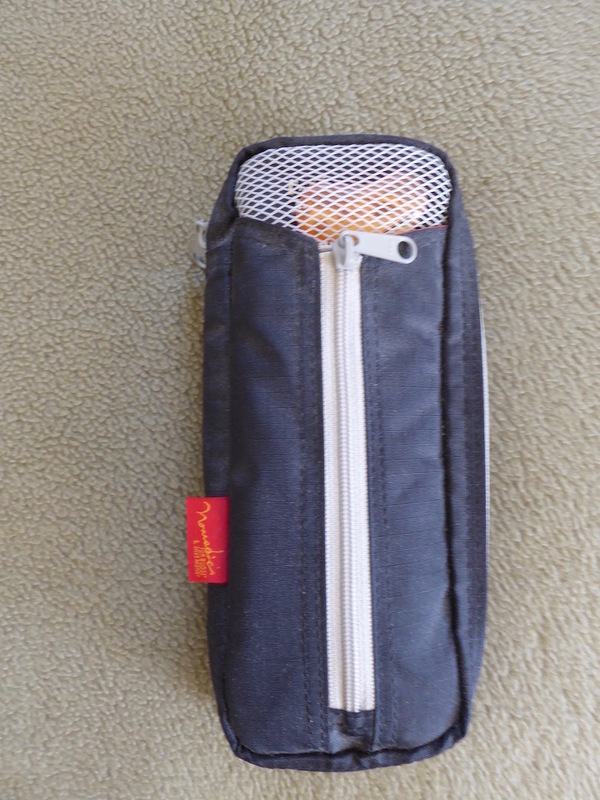 Pen cases - share yours! 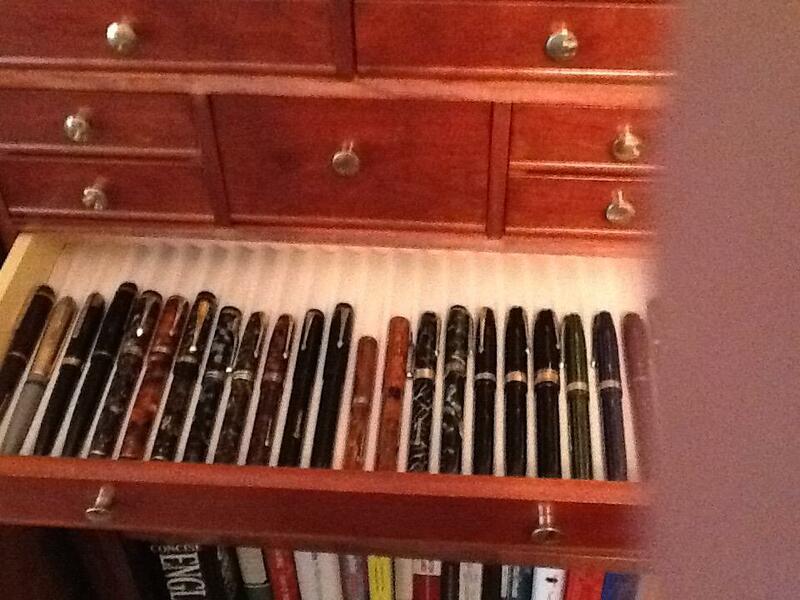 I'm looking for ideas for nice pen storage for multiple fountain pens . I know there are roll up ones, and cases. Let's see yours! Here are a few I use. 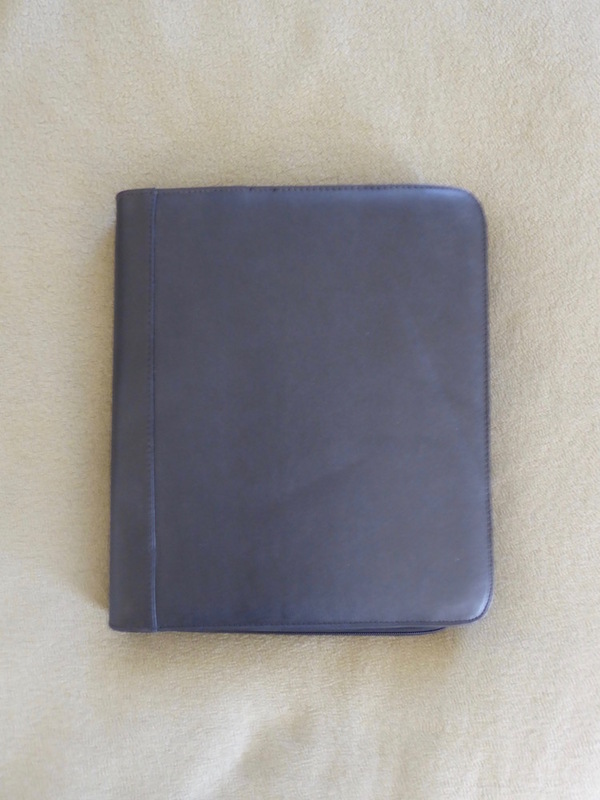 The first three photographs are of a large pen portfolio for easily carrying many pens. 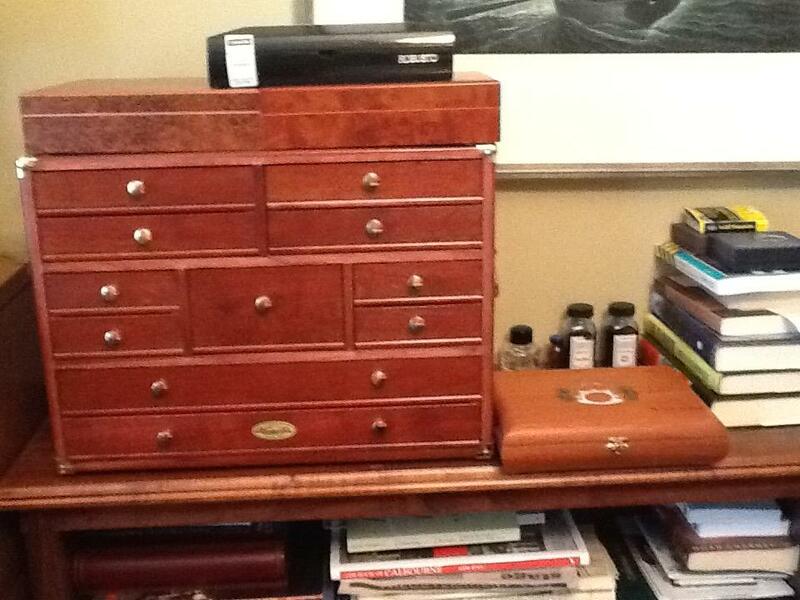 The next two are of a small case for practical purposes. 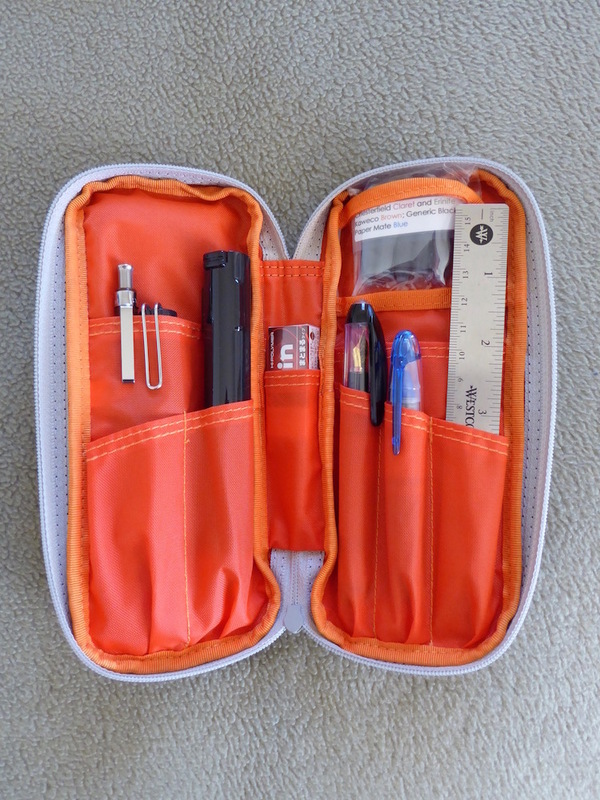 What you can see in the case are two inexpensive fountain pens, a mechanical pencil, an eraser, a stapler, scissors, a ruler, and international standard ink cartridges in various color inks. The last is a test tube holder for easy access on my desk. 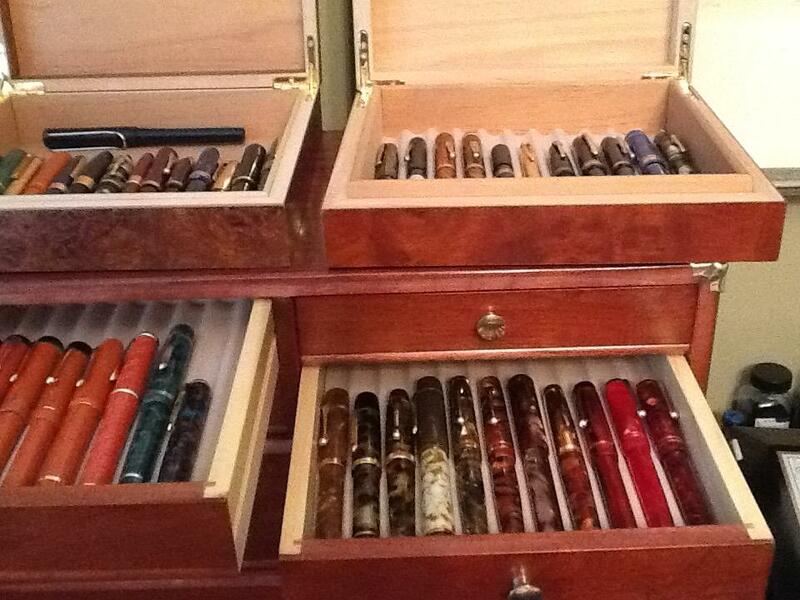 Very nice cases. Freddy, where did you get that clamshell one with the orange interior? 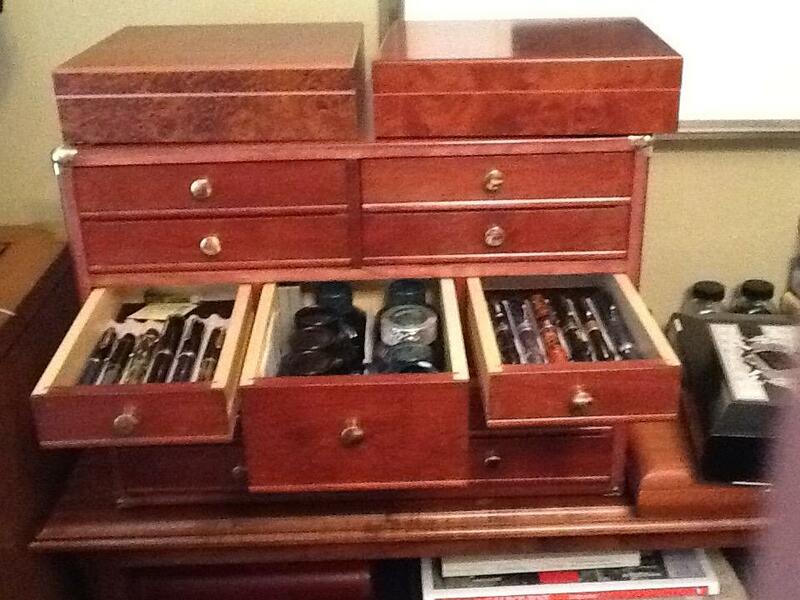 Bryan, the pen storage cases are really beautiful. Charlie, that travel clamshell one was purchased at Jet Pens (http://www.jetpens.com) and they have quite a few choices. (11-13-2015, 03:46 PM)Charlie NEPA Wrote: Thanks freddy! 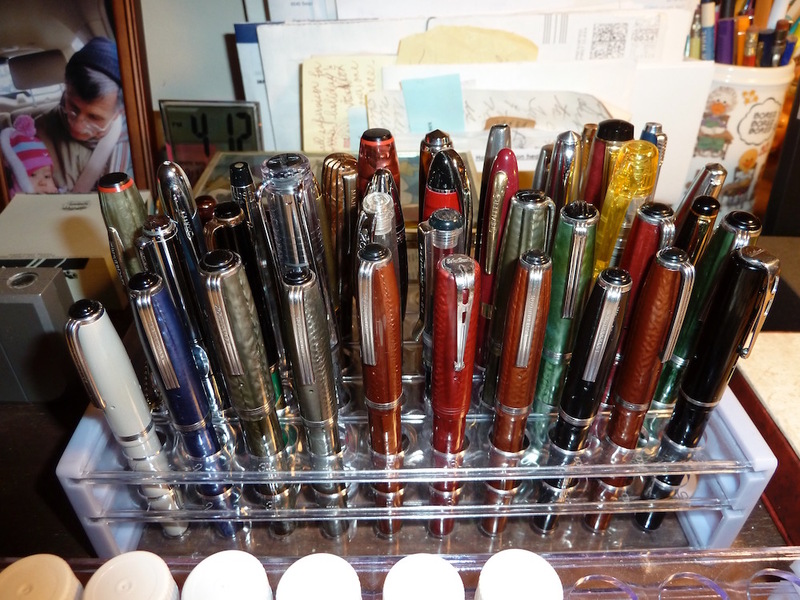 (10-31-2015, 06:31 PM)Gig103 Wrote: I'm looking for ideas for nice pen storage for multiple fountain pens . I know there are roll up ones, and cases. Let's see yours! If your still looking check these guys out. I have one of there 3 pen sleeves and love it. 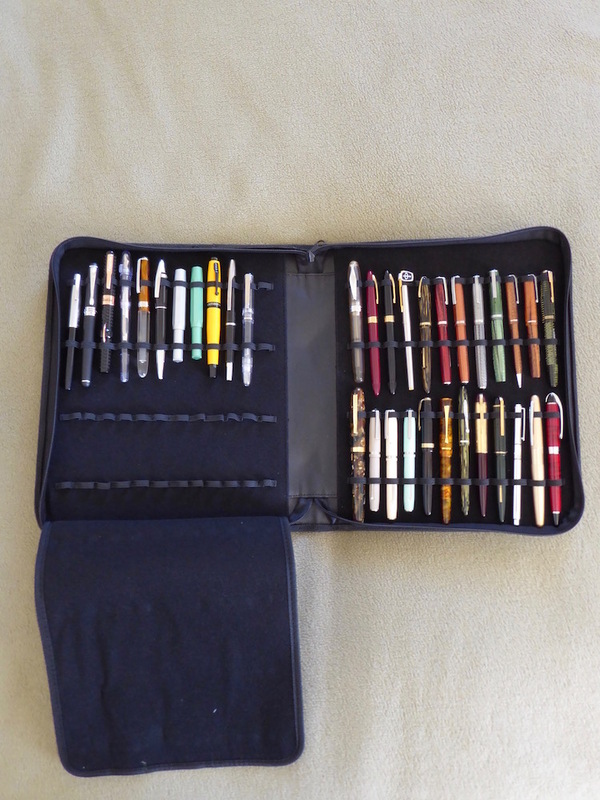 Not sure if you are still looking but Aston Leather makes a few good cases that hold 10 or 20 pens depending on the case. 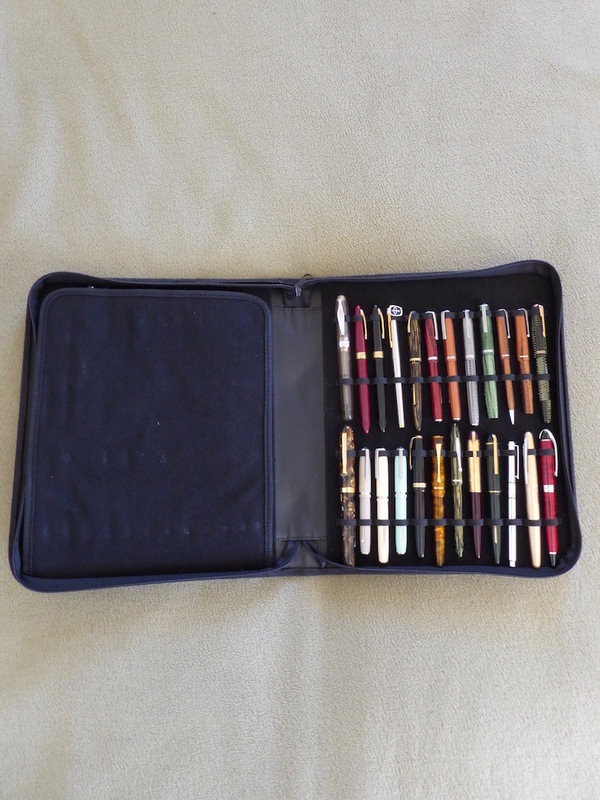 I bought mine at http://www.penchalet.com and love it. Sturdy, well made and made in the US.